In my experience, the two places that many of my home organizing clients struggle with are managing laundry chores and managing incoming mail. Although the act of opening a letter seems simple, there are so many decisions that go into tackling incoming mail that it is not uncommon to become overwhelmed. Mail arrives almost daily, so it is a constant in every home. 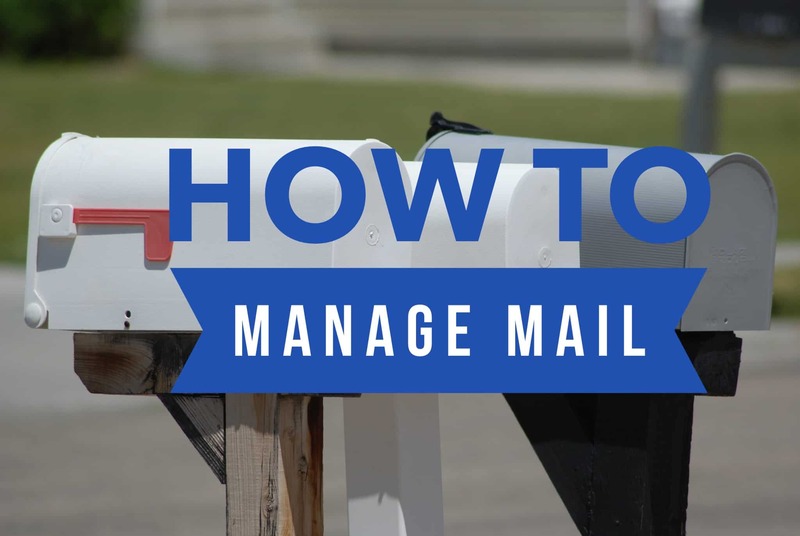 Here are my tips for managing incoming mail. This person can cull junk mail and then place mail that must be read someplace where the recipient can see it, open it, and follow-up with it. With my home organizing clients, sometimes small piles of mail end up in various rooms of the house because that’s where it was opened. Designate one place as your home mail sorting station. I suggest this be near an entry doorway or in a home office, if that’s where you usually pay bills and respond to mail. Go to the Direct Marketing Association to request to be removed from marketing and mailing lists. Contact Catalog Choice to request to be removed from certain catalog mailing lists. Visit OptOutPrescreen to be removed from credit card offer mailing lists, or call 1-888-5OPT-OUT to request removal. Cancel subscriptions to newspapers and magazines you no longer read. Each piece of mail has an action associated with it, so create specific mail inboxes or folders for each family member. You can also separate the mail by tasks such as “to pay” or “to read”. Have a “to file” folder or inbox for important papers that you want to keep in a filing system. Routinely bring these papers to your filing cabinet. Get into the habit of checking your mail daily. Schedule a day to pay the bills, file away papers, and respond to any other mail. Organizing mail is an ongoing process and it must be dealt with on a routine basis. I hope these tips make it easier for you keep the mail under control.